Prisoner of conscience Hossein Ronaghi Maleki who has been on a hunger strike since August 9th was taken to the emergency room at Shahid Modares hospital on Wednesday August 28 in dire condition. His father says Hossein would not accept breaking his hunger strike or the administering of an IV. Ahmad Ronaghi, responding to a question as to what answers he has received from the officials on granting Hossein medical furlough said, “During this entire time, I have only been able to see Mr. Khodabakhsh, the Deputy District Attorney. One time he says that IRGC does not permit medical furlough, another time he says that the person responsible for Hossein’s case does not permit furlough, and yet, sometimes he says he himself is not approving a furlough. He suffered severe kidney damage during interrogations, and has undergone surgery several times. Hossein launched a hunger strike on August 28 protesting the officials disregard for his health condition and failure to transfer him to a hospital for proper treatment. Banned from education, activist Vahed Kholosi, was along side Hossein Ronaghi, as one of the Sarand earthquake relief camp volunteers. They went to the earthquake-stricken area of Azarbaijan to lend a hand to the people affected by this national disaster. He has written a note about what recent days are reminding him of. “In 2011, on nights like this, for the crime of being banned from education, I was trying to get a blanket for my first night in solitary confinement in IRGC’s Ward 2-A. The solitary confinement lasted 21 days followed by a 5 year imprisonment sentence. In 2012, on nights like this, for the crime of helping the earthquake-stricken people, I was being beaten by the Tabriz Intelligence Ministry’s agents, and after that I received a 2 year imprisonment sentence. – Hossein Ronaghi and his mother are on hunger strike. – The death of humans and humanity in the chemical attacks in Syria. – Executions after executions and more executions. – The imprisonment of my brother “Navid Khanjani” behind those cold walls. – The incarceration and enchainment of many liberty seeking Iranians. – The political circus whose ticket price has become the sap of the soul of humans. “Many years ago when I was barred from education, he became my friend. I later saw him in Evin, and he became my strength. He was granted furlough, but didn’t stay inactive. The Mother Land was mournful due to the earthquake, and Hossein felt he owed the earthquake-stricken people. Before my eyes, they kicked his sides, hitting his ill kidneys. I was distraught, but their sick conscience was not distraught. 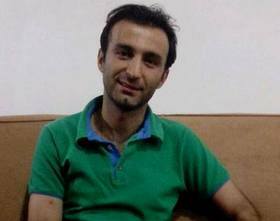 Hossein is in poor health and is on hunger strike, because Justice is hungry and sick. Hossein is loosing his hearing because the ruling apparatuses are deaf. Hossein suffers from an impaired nervous system, because the country’s Judiciary system has become disordered. Hossein is suffering from severe convulsions, like not only Iran but the whole Middle East has become convulsive. Political prisoner Pezhman Zafarmand’s father, Hassan Zafarmand, tells the National-Religious website, “A few days ago I was finally able to visit my son for a few minutes in the presence of security guards. He was in a very bad shape, looked very pale, and hardly had the strength to talk. He said he had been on hunger strike for 45 days. He looked in a terrible shape. He said his hands were feeling numb, and he could barely move them. He said he has been under pressure to give a televised confession. Pezhman Zafarmand was an activist at Mohamad Reza Aref’s presidential campaign headquarters in East Tehran prior to Aref’s withdrawal from the race. After that, he became an activist in Hassan Rohani’s presidential campaign. Zafarmand was previously arrested in 2009 and 2010 for participating in the street protests. He was also arrested on October 30, 2012, along with Mehdi Khazali and a number of other activists and journalists, at the Pen Society’s meeting but was released after some time. Hassan Zafarmand continues, “Pezhman was arrested right after the presidential election. After his arrest, we were unable to find any information about his status. After much follow up, we found out he was incarcerated in Ward 240 of Evin prison. Pezhman has been arrested several times now. His life has been shattered despite all of his activities being within the frame work of the law, and all public. After Pezhman Zafarmand was arrested at the Pen Society’s meeting, he was tried at Branch 15 of the Revolutionary Court and sentenced to 3 years imprisonment by Judge Salavati. Mr. Zafarmand, not knowing what his son’s current charges are, said, “I still don’t know what he is being charged with, but he is still going under interrogations and I have no idea why it has taken so long. He was not able to talk about it at our meeting either. I still don’t know why they arrested him. Is working in a presidential campaign, even for Mr. Rouhani, whose candidacy they had themselves confirmed, a crime? All of Pezhman’s activities were public and he, along with other activists did a lot of campaigning (for the then candidate Mr. Rouhani). I don’t know why they arrested him? Mr. Zafarmand continued, “His latest arrest has nothing to do with the sentence they had given him before. None of the authorities give us an answer as to what his charges are and why is he under so much pressure. Rather than help a young activist build a life, instead they are making his life miserable with this sort of confrontation. We all participated in this revolution and our aim was to build our country, not for some individuals to take control of everything and do what ever they deem right. What I am saying is that, why do this to my son when he hasn’t done anything wrong? He has the right to a normal life. Release him and use his energy towards advancement of the country. Why should the youth that can serve the people and the country suffer and be imprisoned? This is not only what I am asking for, but it is what all the other Iranian parents are asking for. These young men and women should not be imprisoned at all, much less being released with broken arms and legs after the imprisonment. In conclusion Mr. Zafarmand, wishing for the release of all the political prisoners, adds, “Not the United States, not Israel nor any other country cares as much for this country as we the Iranians do. It is Iran and it’s people. We are one big family called Iran. We have to take care of ourselves and build a progressive country. Every person strives to live a comfortable and honorable life. But not to be humiliated and harassed. These conditions we have now are not what is called living. Death is better than living under these circumstances. Why should we have to suffer and endure so much pain? When they arrest someone, that person has a father, has a mother, has friends and relatives. Just think, with each arrest they make, how many enemies they do make for themselves. Instead of promoting friendship and love, with these wrong actions we are promoting hostility and hatred. We are just making more enemies. For God’s sake where are we going? It should also be noted that another one of those arrested around the presidential election, Akbar Amini, is also under pressure to give a false confession. Father of political prisoner Pezhman Zafarmand said his son contacted the family. He is still in solitary confinement at Ward 240 of Evin prison and is under psychological pressure to extract a false confession. Zafarmand has not been permitted a family visit yet and has only had two phone contacts since his arrest. According to Zafarmand’s father, in his latest phone conversation, Pezhman was not in a good mental state and was extremely agitated. These intensified pressures are to extract false confessions. According to Jaras, Akbar Amini is also facing the same situation. Amini was arrested a few days prior to the recent presidential election and Zafarmand was arrested few days after the election. Amini also continues to be incarcerated in solitary confinement. According to received reports, both Amini and Zafarmand face the same charges and the purpose of the interrogations is to obtain false confessions of contact with hostile foreigners and other false charges. But according to family and friends both Zafarmand and Amini’s activities were limited to the presidential campaign activities. Pezhman Zafarmand was an activist at Mohamad Reza Aref’s presidential campaign headquarters in East Tehran prior to Aref’s withdrawal from the race. After that, he became an activist in Hassan Rohani’s campaign. Zafarmand was previously arrested during a raid on the Pen Society meeting, and was released after a one month detention. He was tried and sentenced in Branch 15 of the Revolutionary Court presided by Judge Salavati, and was given a 3 year imprisonment sentence. Akbar Amini, also arrested during the raid on the Pen Society, was sentenced by Branch 15 of the Revolutionary Court to 5 years imprisonment. A few days after the presidential election, Amini was re-arrested in a middle of the night raid when the agents broke down the front door and entered his home. The family of Pezhman Zafarmand did not have any news on his status or detention location for days after his arrest until he was finally permitted to call them from Evin prison. According to HRANA (report) Akbar Amini has yet to be permitted to contact his family since his last arrest. 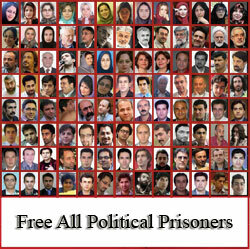 Writers Association member, Akbar Amini, was re-arrested June 7, 2013 in a raid of his home. 73 days since his last arrest, Amini has not yet been permitted to contact or have visits with his family and friends. A source close to Amini’s family has told HRANA that, “Despite more than two months since his illegal arrest, Amini has not had any contact with family or friends, and has been illegally denied the basic rights of prisoners. His family and friends have no information on his status. All we know is that he is being kept in solitary confinement in Ward 209. On February 14 2011, after the now detained Green leaders had called for a mass protest, Amini climbed atop a crane in Tehran holding Green Movement symbols. He was arrested after a few hours and taken to Evin prison. He was later tried and sentenced to one year imprisonment, and was released after completion of that one year term. After that release, he was arrested and summoned several times prior to his latest arrest. I wanted to address my letter to the wall, but I know the wall would crumble after hearing my plight…..
Behbahan is a city where I spent three years of my life, without even seeing the city. When being transferred to Ahvaz, passing the Steil and Khareston squares and….I realized how many memories I have with them without having seen them before. I realized how much memories I have from this city, without having even walked it’s streets. How familiar are the people of this city, without having met them. Behbahan; without a doubt, one day I will come back and walk your streets and alleys to make up for the lost time. People of Behbahan; I wish you knew how eager I was to meet you. I received nothing but compassion and love filled messages from you. My gratitude to you for being there for me. I thank you for the kindness you gave to your uninvited guess. I am grateful to all of you and hope to see you. In route to Ahvaz, it was about 5:30 PM, the hottest time of the day. The road was dry and there was very little traffic. There were hills and heat as far as you could see. There were mountains and heat. There were palm trees and heat. The security guard accompanying me (his name was Gholam), handcuffed and shackled me, I objected; he said: “I know best”. He is right. It appears the law is comprised of what they choose to be the law, because there was another man who was there on drug charges and was in transit to the correctional and rehabilitation facility, but he was not handcuffed or shackled. It was interesting to me how this decision was made. The shackles had injured my legs, and, even when going to the restroom, the guard refused to remove them. Where did this decision come from? Who made these laws? Exile, transfer, it’s a torment to move from cell to another cell in a prison, much less moving to a different prison. Much less facing an additional burden. The road, the heat, shackles, long distance travel, being far away from home, missing loved ones, worries, mountains, the past, the future, mirage, hills, thorns, leg wound from the shackles, bad behavior by the guard, grief, the why of having been imprisoned, still imprisoned, handcuffs, yesterday, the now without any conclusion, tomorrow, goodbye, hello…..
During all this time, I wrote letters to every one that I should have, asking for help in my case, it all fell on blind eyes and deaf ears. Perhaps they just pretend not to hear. Four plus years of my life have been wasted behind the walls of prison, but it is a wound never healed. It is like an open wound out of which hurt always oozes. It erupts, fixed in time, friends gone, paths traveled. I decided to write a letter, addressed to no one. A letter to no one, not even to myself. When they don’t hear, when they don’t understand, then, who should I write to, when they consider themselves as the center of the world and the criterion of justice. So selfish and egotistical they are, that they want everybody to become like them. Can they be more pretentious than this? Who should I write to? To those who have inflicted this great injustice on me? Who should I write to, when, in four years no one has asked why? Why did they not allow my defense attorney to present his case? Why did they, without proof, rule on a charge that the judge himself found baseless? When the so-called independent judge himself said he was under pressure. Why did no one ask what kind of pressure? Whose pressure? Why, when my sentence was overruled by the Supreme Court, less than 10 days later the same sentence was issued again? My sentence was divided into two parts: Moharebeh (enemy of God), and propaganda. Why did the Appeals Court uphold the Moharebeh charge that I objected to, but overturned the propaganda charges that I did not object to? Why was the issue of my formal complaint against the Judge and the prosecutor not even raised? Why did they enforce my exile? Why did they not even give me one day of furlough to attend my brother’s wedding, even after bail was posted? Why 250 million Tomans for 2 years? Why did the Judge include in my sentence exile to Eizeh, when there is not even a prison there? You mean he didn’t know? Why exile to Behbahan? Why then exile to Ahvaz again? Why and why and tens of whys left without answers? I spent two years and nine months in Behbahan prison. Because of the laudable behavior of my cellmates and the guards, there are few thing that I will not forget. When I came to Karoon prison in Ahvaz, how I enjoyed the courtyard and the fresh air, and the being able to see the sky, however reticulated, I couldn’t help but remember the courtyard in Behbahan prison that was covered with layers of mesh wire. Some times in the city there was a lot of dust in the air, but we never felt it because of the layers of mesh wire covering over the courtyard. There was not much air movement there, and this made the place very hot. Every time an official or inspectors came there, they saw that. I told them about this tens of times, but each time to no avail. Breathing fresh air was a longing and seeing the sky, a dream. A prison that housed inmates twice to two and a half times it’s capacity. Less than the needed number of bathrooms. With more and more limitations in place everyday. More control everyday. Even prison visits became more & more limited. A prison with no library. Cultural activities stopped for lack of 100 thousand Tomans. Even though there was no space to hold classes, receiving furlough was based on attending and completing classes. When 10-12 people were in the courtyard and more then three hundred people trying to use the restroom facilities, there was hardly any space to walk. The number of the inmates who had to sleep on the floor increased daily. Guards that made arbitrary decisions to confiscate books and other items, even under garments, and stopped them from reaching the prisoners. They closed the concession area. Smoking was no longer permitted, but then, after objections, they were selling Winston cigaret for 6000 Tomans a pack. Favoritism in giving points towards receiving privileges, but making it harder to receive points. Non-separation of the inmates according to their crime. The efforts of prison officials trying to remedy the problems was fruitless, due to failure to receive enough budget. Not enough space. Increased number of prisoners, without providing rehabilitation. Very low quality of food from trying to save money, and from the purchase of low quality and cheap food. Items that, even with the prisoners trying hard to make them tasty, it was not possible and not really edible. Officials and inspectors usually only came for visits during winter months when the weather was in better condition. Their visits never resulted in anything positive. It only created more limitations, closer monitoring of the prisoners so they couldn’t disclose anything. And, if they did, they faced exile or loss of their furlough privileges. All of this was apart from all the special preparations that were done, just prior to the inspectors’ visits. I wanted to address my letter to the wall, but I know the wall would crumble after hearing my plight. So I decided to address a specific audience. Because all of these might be some peoples’ criteria for human rights standards, and I might unwillingly question and/or harm the human rights criteria of these gentlemen, which according to them has become the international human rights standards. At this time, I am in Ahvaz. Karoon prison. Another city. Courtesy requires me to first say hello to Ahvaz: Hello Ahvaz! Would you like an uninvited guest?! On Monday, July 27, Majid Dori, an Allameh University student barred from continuing education, was suddenly, and without knowledge of the Judiciary officials, transferred from Behbahan prison to Karoon prison in Ahvaz. Majid Doori, member of Right to Education Committee, was arrested in Ghazvin on July 9, 2009/ He was tried later that month without having a defense attorney present, and was sentenced to 11 years imprisonment, plus exile to another city. The Appeals Court later overturned that sentence and gave him 5 years imprisonment plus exile to city of Eizeh. Weekly visits of a number of female political prisoners with their children have been denied for the past three weeks. This action has been taken without any explanation from the prison officials or the district attorney’s office. Faran Hesami with a four year old child, Maryam Akbari Monfared mother of three girls ages seven, thirteen and fourteen, Sadigheh Moradi with a fourteen year old daughter, and Fariba Kamalabadi mother of a sixteen year old daughter are the political prisoners that have been denied visitation with their children. So far, the families of these political prisoners’ pursuit of this matter with the district attorney’s office has had no results toward restoring their visitation rights. The ten year imprisonment sentence of political prisoner Emad Bahavar has been overturned by the Supreme Court, and the case has been sent back to the Appeals Court. After Bahavar’s defense attorneys presented their case to the Supreme Court, the Court ruled in favor of the defense, overturning the ten year imprisonment sentence and ordered the case back to the Appeals Court. 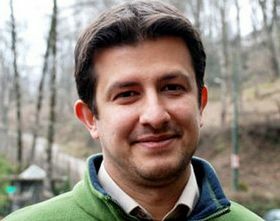 Emad Bahavar, was Chairman of the Youth Branch of the Freedom Movement of Iran and an activist in Mir Hossein Mousavi’s 2009 presidential campaign. He was arrested on March 13, 2010 and later tried and sentenced by Branch 15 of the Revolutionary Court to 10 years imprisonment. In June 2011, Branch 31 of the Supreme Court headed by Judge Jafari accepted to review Bahavar’s case. However, the case was not sent to the Supreme Court for review until June of 2013. After reviewing the case, Branch 31 of the Supreme Court accepted the objections raised by the defense, overturned the 10 year sentence, and ordered the case back to Branch 36 of the Court of Appeals presided by Judge Zargar. Emad Bahavar has been incarcerated at Evin prison for more than three and a half years, during which time he was granted only one short furlough during the last Iranian New Year. Following is translation of an interview conducted by Roozonline with mothers of on hunger strike political prisoners Hossein Ronaghi Maleki and Abolfazl Abedini. It has been more than two weeks since political prisoner Abolfazl Abedini launched a hunger strike protesting his illegal transfer to Karoon prison in Ahvaz, a hunger strike that has not fostered pursuit by any of the Judiciary officials. On Sunday, political prisoner Hossein Ronaghi Maleki incarcerated in Evin prison, announced the launch of a hunger strike in a letter to Abedini. He wrote, “I, in protest of the responsible authorities’ lack of respect for human life, failure to address the cases of ill political prisoners, added pressure on my family, arbitrary and illegal transfer of innocent political prisoners and forcing them into such inhumane conditions, the unknown status and whereabouts of some of the political prisoners, and also protesting continued non-adherence to the rule of law by officials, am launching a hunger strike. Considering his dire health condition, the hunger strike of this political prisoner has caused much concern among the human rights activists and his family. Ronaghi’s mother, Zolaykha Mousavi tells Rooz, “Last Monday I went to visit him in prison, he told me he is having severe pain in his right kidney and has not been able to sleep for the past four nights due to the pain. Mrs. Mousavi continues, “I went to the District Attorney’s office, and cried, and pleaded with the Deputy District Attorney. A number of other political prisoners’ family members were also there, and witnessed my pleas. I said, for God’s sake, grant my son medical furlough, I have come here from Azarbijan. I explained Hossein’s health problems and the pain he is suffering from his right kidney, and asked them to please approve his furlough so he can go to specialists for treatment. They denied the furlough. Mrs. Mousavi stressing the dire health of her son says, “Doctors have said that Hossein must be on a proper nutritional diet, which is not available in prison. Hossein told me he can not tolerate this any longer, they torment him there in prison. 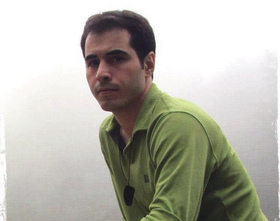 Hossein Ronaghi Maleki was arrested December 2009 in the city of Malekan in Azarbaijan province and was transferred to Tehran after his arrest. He used the pen name Babak Khoramdin on his blog. He was among the people who protested the results of 2009 presidential election. He was also a member of the committee against censorship. He was sentenced to 15 years imprisonment on charges of anti-National Security acts. (Translator’s note: Hossein was also tried and sentenced to additional 2 years imprisonment in the Sarand Camp earthquake relief workers case). Political prisoner Abolfazl Abedini, a witness in Sattar Beheshti’s case was transferred from Evin prison to Karoon prison in Ahvas on July 28. This was not the first time that Abedini was exiled. Last fall he was also illegally transferred to Ahvaz. He was transferred after he gave testimony in the case of Sattar Beheshti, the critic blogger who died as a result of torture while in custody. Abedini had testified before the Magistrate that he had seen signs of torture on Sattar Beheshti’s body. At the time of his last transfer out of Evin, protesting his illegal transfer, he proclaimed he will go on a hunger strike and will not halt it until he is returned back to Evin. Now that more than two weeks have passed since the start of his hunger strike, concerns are raising about his health and the conditions under which he is being held in Ahvaz Karoon prison. Abolfazl Abedini’s mother, Sareh Aivazi, in an interview with Rooz, stressed that on her last visit with her son, he appeared very weak and thin and declined his family’s urging him to halt his hunger strike. After Abedini was illegally transferred to Ahvaz, 44 political prisoners in Evin wrote a statement of protest and asked for his return back to Evin. He was tried in April 2010 in the Revolutionary Court of Ahvaz and sentenced to 11 years imprisonment on charges of association with hostile governments, human rights activism and propaganda against the establishment through giving interviews to foreign press. I said, O love be kind as a father, tell me, are these not the attributes of God?